Players like Zach Greinke (Arizona) and David Price (Boston Red Sox) have joined new teams for big-time money, while other free agents begin to work through offers from various teams. The Kansas City Royals are still trying to figure out what to do with the two big-name players, Alex Gordon and Ben Zobrist, while looking elsewhere for additions to their team, which will look to reach a World Series for a third year in a row. The majority of fans in KC would like to see KC figure out a way to sign both Gordon and Zobrist, but the likelihood of that happening is slim to none considering Dayton Moore will not hamper his ability to sign other players down the line because of large contracts to Gordon and Zobrist, as both players are in their 30’s and are asking for both years and dollars on new deals. While Moore and the Royals work to figure out their next move with the two fan-favorites, they finished a deal with the St. Louis Cardinals for catcher Tony Cruz in exchange for lower minor leaguer Jose Gonzales, a 19-year-old infielder. Cruz will slide into the backup role for Salvador Perez. To make room for Perez on the 40-man roster, the Royals designated Francisco Pena for assignment. As far as the pitching staff is concerned, Kansas City has said nothing about Johnny Cueto, and there is a seemingly zero percent chance he is kept in KC because of the asking price. It has been reported positive dialog between starter Chris Young and the organization of occurred, and Young could be brought back to rejoin the starting rotation for the Royals in 2016. 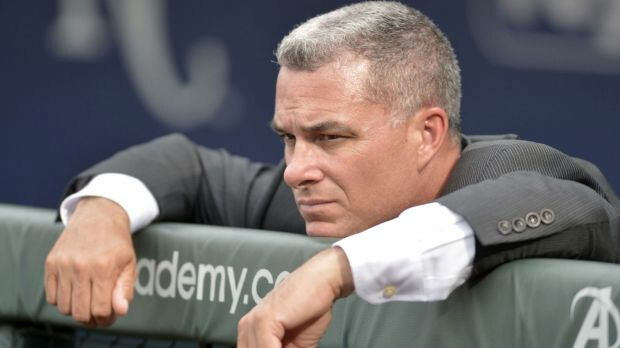 There will be multiple moves made between now and February, and Dayton Moore has been known to make late moves leading up to spring training. Still, the attention remains focused on the future of Zobrist and Gordon. In terms of KC’s chances of repeating as World Series champs, one would think keeping a player like Zobrist, who made an immediate and profound impact on the team from his arrival and through the playoffs, would be wise for the immediate future. Gordon, a defensive star and the face of the organization for nearly a decade, is a fan favorite and a player tied to the growth and success of the team, but as a batter, has become relatively average. Unfortunately, the business side of baseball gets in the way of what would be the more popular decision.